If you make a purchase through a link on my site, I may receive a small commission at no extra cost to you. I only recommend products that I believe to have good value (affiliate disclosure). 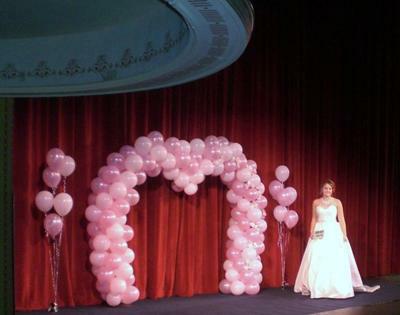 Here is an example of a "heart shaped" balloon arch. I used "peal pink" and "pearl white" 11" latex by Qualatex. Air filled ballons were wrapped on a custom wire frame by BargainDJ.Com. Silk flowers were applied to add elegance. This display was used in a Fashion Show Event. Join in and write your own page! It's easy to do. How? 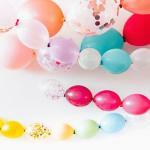 Simply click here to return to Wedding Decorations With Balloons Photo Gallery. 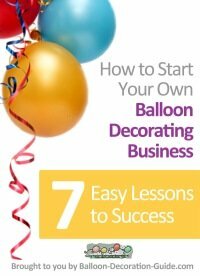 Sign up for the eCourse today! 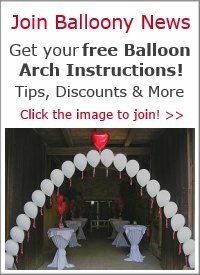 Highly recommended: CSA Custom Balloon Experts! 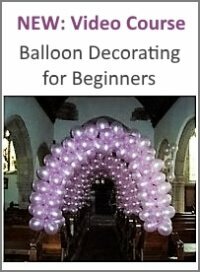 Which balloon stuffer do you recommend? Classy Wrap or Keepsake Stuffer?